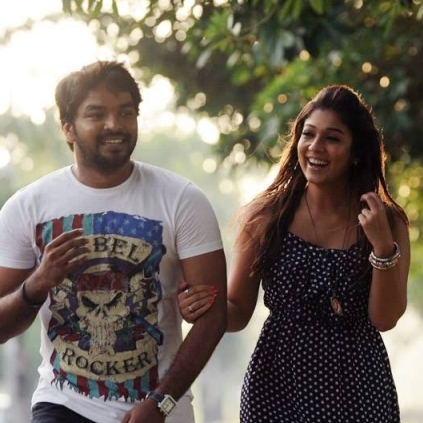 NAYANTHARA’S DORA AND NOW JAI’S BALLOON! Balloon, the Jai-Anjali-Janani Iyer flick has exciting information from their camp. Auraa Cinemas Mahesh Govindarajan has bagged the distribution rights of this film. Balloon is directed by Sinish and has Yuvan Shankar Raja’s music, Saravanan’s cinematography and Ruben’s editing. It is produced by 70mm Entertainment and Farmer's Master Plan Productions. It has to be recalled that Auraa Cinemas had recently bought Nayanthara’s Dora too. Malayalam Scriptwriter Hashir Mohamed Jailed For Roaming Naked And Misbehaving With A Woman! People looking for online information on Anjali, Auraa Cinemas, Balloon, Jai will find this news story useful.